As the saying goes, there’s proof in the pudding. Johnny Cash plucked out his first tunes on the front porch of his family’s modest New Deal home just down the road in Dyess. Other local blues musicians included Calvin Frazier, Son Seals, Harvey Scales, and Al King. Rockabilly singer, Narvel Felts, got his start in Mississippi County, as did country singer, Ed Bruce, and Nashville Star winner, Buddy Jewell. Today, Wilson, Arkansas pays homage to the area’s unique musical ties with its bimonthly Wilson Music Series featuring local, regional, and national artists. The venues—The Grange or Wildwood Mansion located at The Delta School—are truly impressive. The talent is on par with that of a much larger city. Recently, John Oates (of Hall & Oates) performed to a packed crowd. Next up: An Evening With Phil Vassar on April 22, 2017. The Mississippi River serves as the keeper of river folklore and tales more true than tall. The levee, parallel to the Great River Road, provides the only nearby rise in the landscape, ensuring not only flood control, but also marking the boundary of natural areas, protecting plentiful hunting, and facilitating sledding in winter. Once wild and untamed, Ole Man River is now forced along at a more controlled pace. Even so, he is powerful still, revealing islands and sandbars to riverboat captains pushing barges in the black night and creating swimming and hidey holes known only to locals who call the area home. Whether your Upper Arkansas Delta road trip is limited to a few quick hours or stretched into several leisurely days of exploration, be sure to spend time with the Ole Man himself. A local can likely show you a secret pathway to the water’s edge, otherwise for the most stunning, unobstructed view, head eight miles up the Great River Road to Sans Souci Landing. This historic area, once home to the 10,000 acre Sans Souci Plantation, served as a Union hospital during the Civil War and was the site of the Battle of Plum Point Bend. Today, you can enjoy a picnic under covered pavilions, dip your toes in the cold water (if you dare), and watch barges move along. Sans Souci means “no worries” or “without care” in French. Aptly named, don’t you agree? Long before blues greats traveled Highway 61, before Twain piloted a riverboat on the Mississippi, Native Americans occupied the area. Since 1961, the Hampson Archeological Museum State Park has been a Wilson landmark, showcasing artifacts excavated in the 1920s from nearby landowner James K. Hampson’s farm. Dig sites are known as Upper and Middle Nodena. I dare say from the time the museum doors opened, every Northeast Arkansas school student has filed through the tiny box-like building at least once, peering at ancient pottery and leaving smudged fingerprints on the glass separating fourth graders from the world’s most extraordinary collection of Late Mississippian Period Native American artifacts (A.D. 1400 – 1650). When you grow up near something so significant, it’s easy to forget how remarkable it is. Soon, we will be reminded in a big way. In 2016, ground broke on a state-of-the-art home for the Hampson Archeological Museum. The new space will be much larger, much more accommodating and deserving of the Nodena collection. According to Wilson Mayor Becton Bell, the museum groundbreaking marked the first new construction on the Wilson town square in fifty-seven years. The even bigger news: since the site’s discovery, folks have only glimpsed a tiny fraction of the Hampson collection. The original building was never large enough to contain the massive artifacts unearthed at Nodena. The new Hampson Archeological Museum, scheduled for completion Fall 2017, is sure to garner world-wide attention from history buffs, educators, and yes, those of us with fond field trip memories. Consider the Art and Agriculture. From the ground up, the heart of Wilson continues to center around farming and gardening and toiling the soil. This common theme is woven like cotton fibers through the town’s history, from the time of the Nodena Native Americans to today’s fifth generation Wilson farmers. Agriculture is Arkansas’ largest industry adding $16 billion to the state’s economy (Arkansas Farm Bureau). 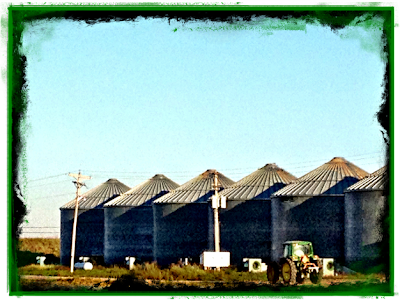 And much of the state’s agribusiness power is generated in northeast Arkansas. Again, thanks to geography of place, Wilson is located within the Mississippi River alluvial plain offering some of the most fertile land in the world. Coming soon to the Wilson town square—a visitor center of sorts. This flex space will help guide visitors and provide historical context on the town and surrounding agricultural area. Wilson boasts art beyond agriculture and nature, too. 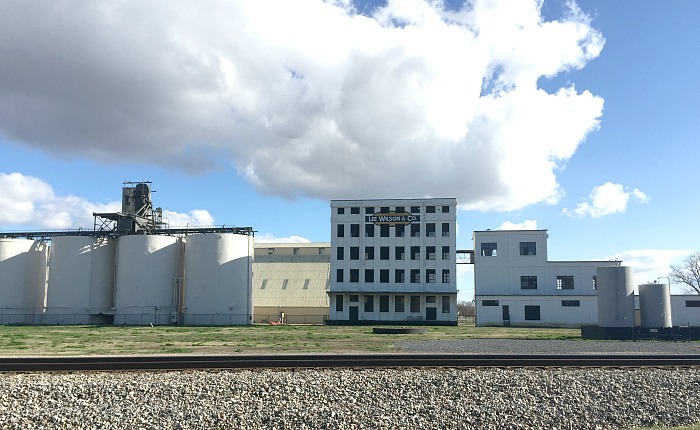 In addition to an industrial art installation next to the original Lee Wilson & Company Cotton Gin, plans are underway for an artist residency program. Once the hub of industry in town, the historic gin building will become a new gathering place for artists and art lovers who are invited to spend time in Wilson responding to the landscape, people, and culture. Something special and uncommon—that’s the perfect way to describe what’s happening in Wilson, Arkansas. More than a century after Robert E. Lee Wilson claimed his birthright in the swampy wetlands, cleared timber, and planted his first cotton crop, geography continues to intersect with change and growth providing Wilson a unique presence in the Delta. With so much to offer and even more opportunity ahead, stay abreast of all the news by becoming an email subscriber HERE. For additional information about the cafe, read Dining with Debbie’s post HERE. Wonderful article, and the pictures are great. I’ve been missing Wilson, especially the Cafe. Very well written, you spent some heart on this article. Thank you, Lea. I enjoyed writing it. Loved it and the song pairing! Thank you, very well written . Hi Sherry and thank you. The official name includes State Park. Loved the article! Lots of memories! Stacy and I got married (almost 32yrs ago) in the yard across from the levee in the very picture you posted. Back when life was simple. This is intriguing and that cafe is speaking to me. Also the museum! 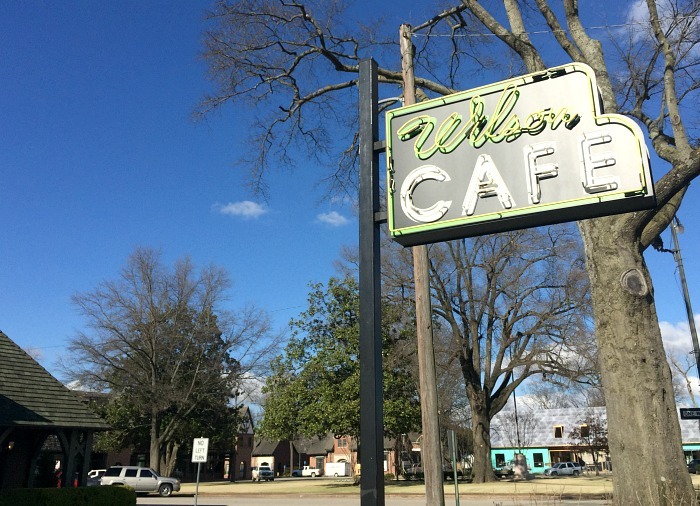 Lyndi, you would LOVE everything about Wilson Cafe. A most enjoyable read. Thanks for paying homage to a most unique part of Arkansas. If you ever decide to re-visit the Wilson area you might want to focus on Wilson’s transformation from swampland to the level landscape visible today. Thanks Ranny. I’m there all the time:) And I love the history of the land in Mississippi County. Wonderful article and I agree with Debbie, I love the way you approached all the treasures found in and around Wilson. Thank you so much. I love connecting with folks who have connection to Mississippi County!